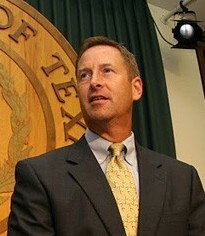 This news release was received from the Jim Murphy Campaign for State Representative, HD-133 (Texas House District 133). (Houston, TX) –State representative candidate Jim Murphy (R-Houston) called on his opponent to return over $43,000 in campaign contributions from Texans Together, the Houston organization recently accused of widespread voter registration fraud. Murphy faces Democrat incumbent and former ACORN lobbyist Kristi Thibaut (D-Houston) in the November election. In an August 24 press conference, Harris County Voter Registrar Leo Vazquez announced that his office had received over 5,000 fraudulent or improper voter registration applications from Houston Votes during its 2010 voter registration drive. Murphy addressed the issue at a meeting of the King Street Patriots, the non-partisan political group that first brought the voter registration irregularities to the attention of Harris County officials. Thibaut has recently come under fire from the Republican Party of Texas for her work in 2007 as a lobbyist for ACORN, the controversial organization accused of widespread voter fraud throughout the country. 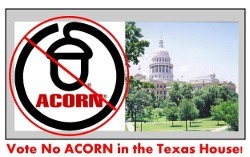 The RPT recently launched a website, www.KristiWorksforACORN.com that details her lobby activities on behalf of the discredited organization.